We are looking for a product based on the purest whey protein isolate, without unnecessary fillers and the addition of vegetable proteins. Top quality and exquisite flavors. The proposal perfect for you! Excellent quality, 100% whey protein isolate CFM without the addition of sugars and fats! Sensational flavor and aminogram in each serving. You can enjoy it during the day and after exercise! 278 loyalty points Your cart will total 278 points that can be converted into a voucher of 11,12 PLN. 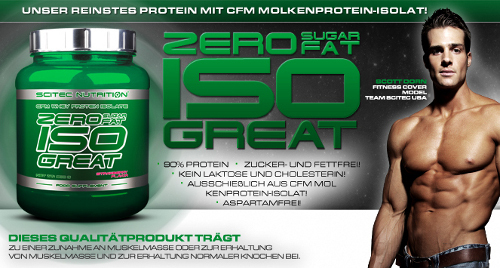 Scitec Zero Sugar / Zero Fat IsoGreat is pure whey protein isolate obtained by CFM. 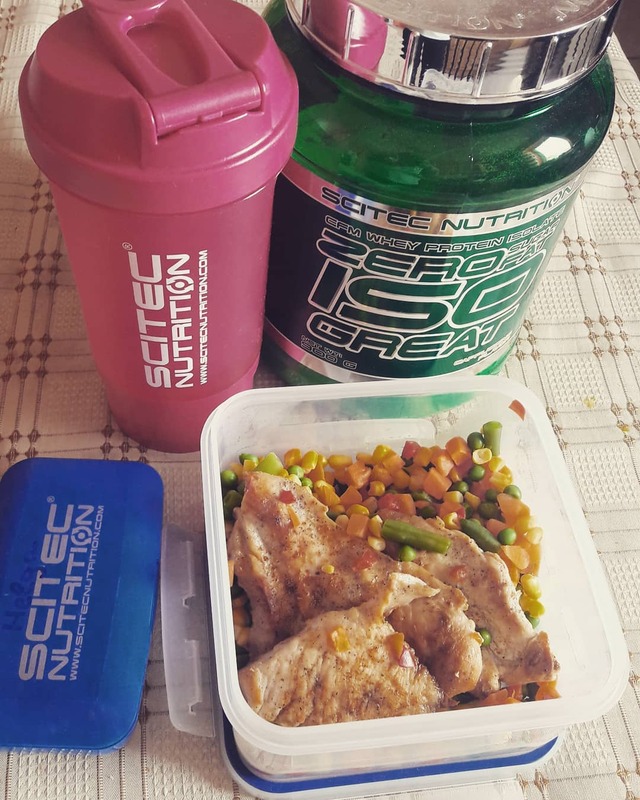 Thanks to a maximum of concentrated protein taste Scitec absorbs quickly and perfectly dissolves. 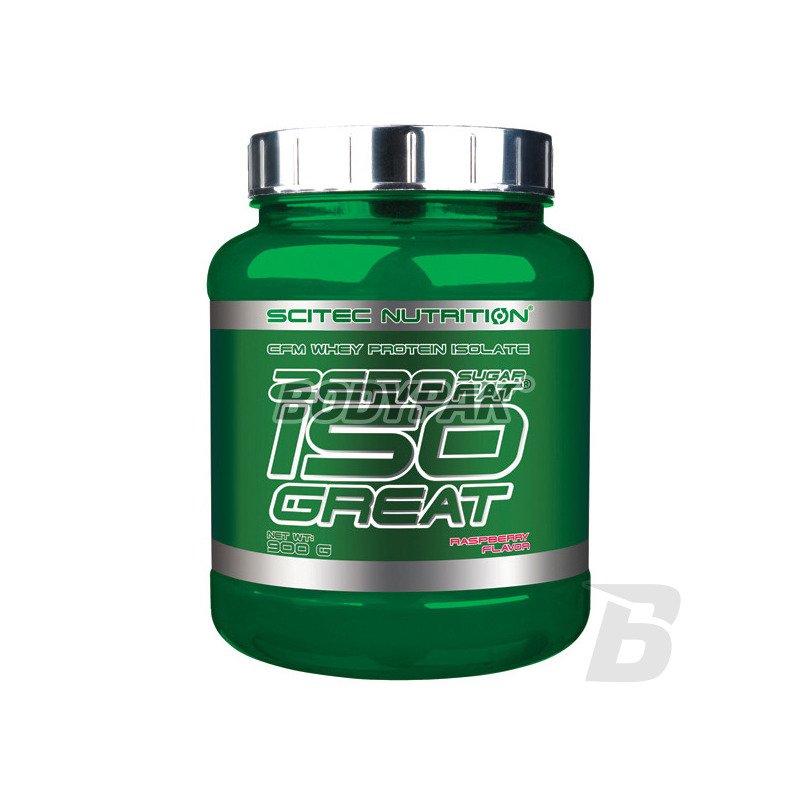 Rich in amino acids and biologically active protein microfractions Scitec IsoGreat is the best supplement to build muscle mass and rapid recovery time. 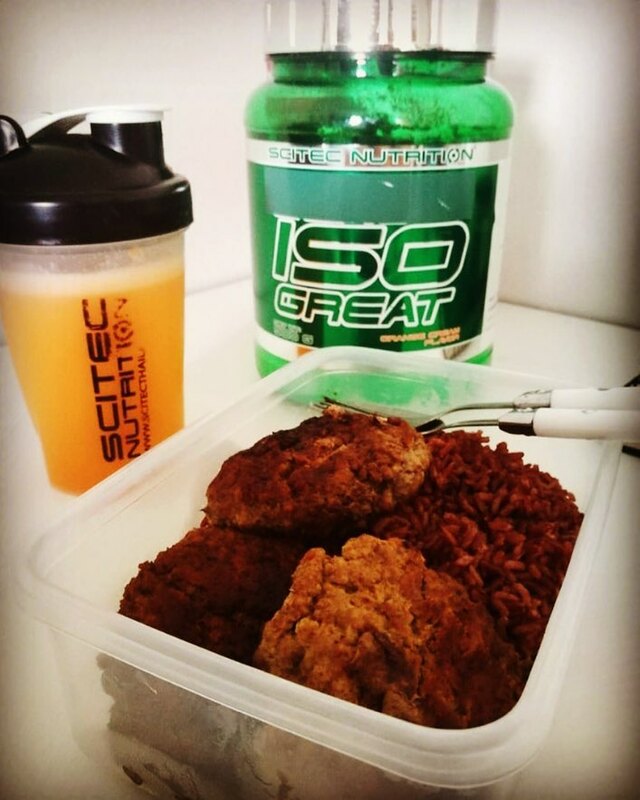 In addition, dietary Scitec Isogreat is low in sugar and fat, which allows to build only dry betłuszczowej weight. Protein in IsoGreat has been obtained by CFM, so the technology of low pressure and low temperature ultra- and microfiltration cross. Thanks conditioner Iso Great contains all the essential amino acids and biologically aktywnnie microfractions proteins: beta-lactoglobulin, alpha-lactalbumin, bovine serum albumin, immunoglobulin G, lactoferrin and glycomacropeptide. Whey protein isolate is rapidly digested and therefore the whey protein isolate is the best form of the protein for athletes. 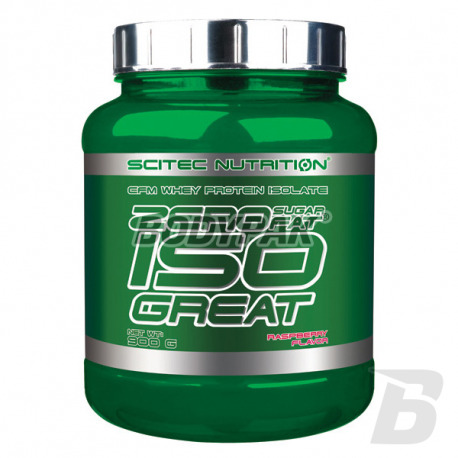 Scitec Zero IsoGreat this rapid muscle recovery after exercise, so you should choose the highest quality protein conditioner Scitec Iso Great Zero. Consume 2 servings a day, preferably after training and local food of the poor in nutritious proteins. Consume 2 servings a day, preferably in the food of the poor in nutritious proteins. Malina przepyszna! Dodatkowo chyba jeden z najlepszych, smakowych izolatów jakie są obecnie na rynku. Warto spróbować - po treningu wchodzi idealnie! A mixture of WPI, WPC and SPI containing 91% high in protein (dry weight). It increases insulin synthesis, testosterone, growth hormone, thyroxin and also stimulates the synthesis of nitric oxide. The product helps in gaining lean muscle mass! High-quality high protein supplement based on whey protein concentrate. 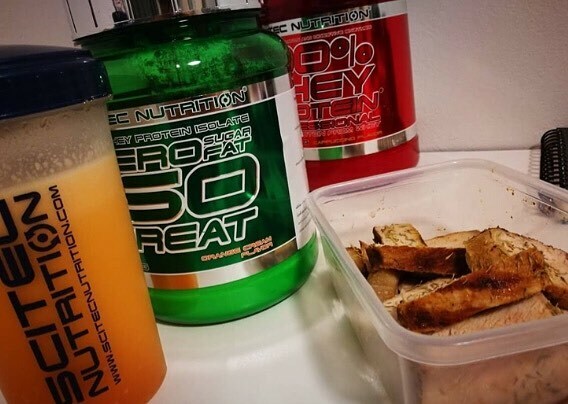 Excellent aminogram and a large concentration of BCAA in each serving! Excellent source of protein. Bid, which contains a huge amount of value proteins (up to 85% of dry matter!). Excellent source of protein and an anabolic mix of high-protein for every Very good taste and good solubility every serving! 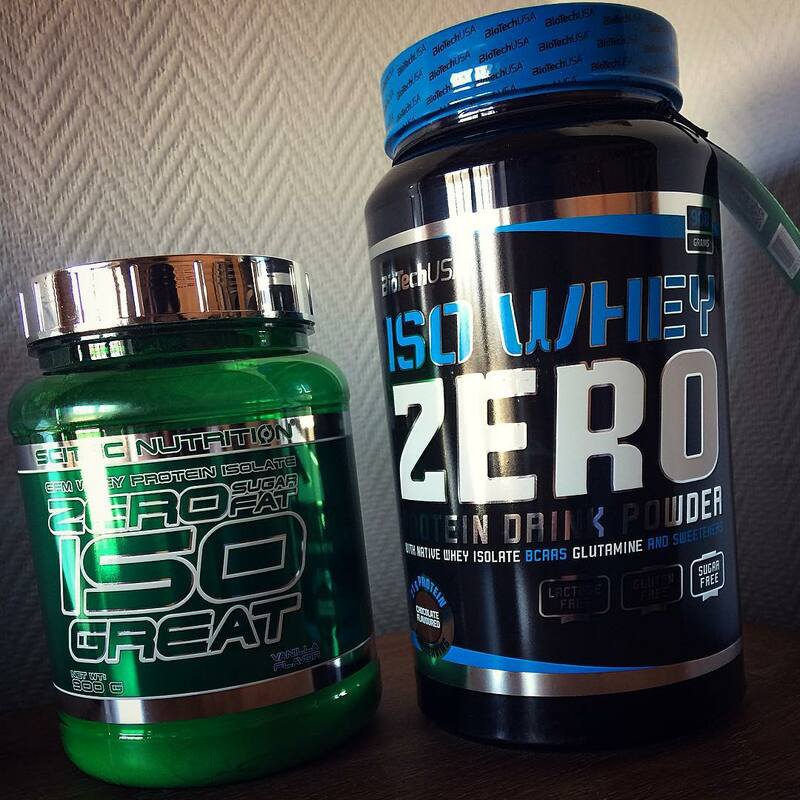 WHEY 100 contains 100% highest quality whey protein concentrate, which is an ideal source of protein animal. High-end conditioner based on the protein beef! Excellent taste and good solubility is one of its many advantages! High concentration of amino acids in each serving. If you are looking to supplement the diet with excellent protein, attitudes on this product!